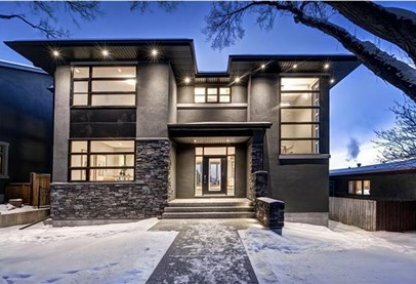 See today's Charleswood homes for sale in Calgary! Charleswood homes are built on a gentle slope offering picturesque mountain views along with views of downtown Calgary. Charleswood was established in 1959. To learn more about Charleswood real estate for sale or to schedule a guided home or condo tour, connect with your Charleswood Calgary real estate team today. Charleswood housing market statistics: As of April 24, 2019 there are currently 21 properties for sale in Charleswood listed as active, with an average asking price of $736,114. The highest-priced property is $1,775,000; the lowest priced property can be purchased for $379,900. Charleswood neighbourhood listings have an average price of $535 per square foot, based on listings with 4.3 bedrooms, 2.7 baths, and 1,372 square feet of living space. Selling or buying a home in Charleswood soon? Call Justin Havre at RE/MAX First - 403.217.0003. Our community of Charleswood real estate agents will help you navigate the Charleswood housing market near Calgary. The spectacular views of the Charleswood community attract real estate seekers, which contributes to the high rate of home ownership - over 80%. The neighbourhood includes mostly single-family homes built in the 1960s, although there are some condominiums as well. The Charleswood area is bordered by Nose Hill Park (North), Morley Trail, Canmore Road (South), Collingwood (East) and Charleswood Drive (West). Nearby Brentwood Station offers LRT servic to the community. Charleswood neighbourhood homes are located alongside urban gem Nose Hill Park, with natural grasslands, impressive wildlife and even ancient archeological sites. Confederation Park's 400 acres are also close by. It has biking paths and walking trails, and the Confederation Park Golf Course property attracts many neighbourhood residents. Canmore Park is also next door, with tennis courts and other amenities for children in the community, such as a playground, wading pool and water fountains. The Triwood Community Association services Charleswood along with Collingwood and Foothill Estates. The community centre has both indoor and outdoor rinks for hockey, figure skating, and summer lacrosse. The Girl Guides, Boy Scouts, and various other neighbourhood programs are also housed in the centre. Charleswood neighbourhood schools include elementary schools Captain John Palliser (Public), Capitol Hill (Public), Banff Trail (French), St. Luke (Private) and St. Joseph (Private). Junior high schools include Simon Fraser (Public), Senator Patrick Burns (Public), Branton (French), St. Margaret (Private), and Madeleine d'Houet (Private). Senior high schools include Sir Winston Churchill (Public), William Aberhart (French), and St. Francis (French) (Private). Looking to buy or sell a home in Charleswood? Let our team of expert real estate agents help you navigate the search for your next home and negotiate the sale of your existing home. 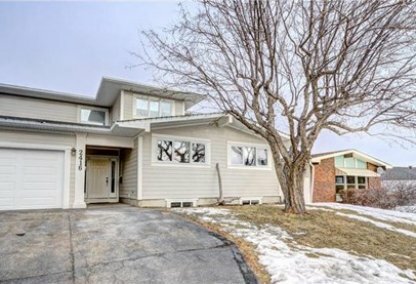 As neighbourhood Charleswood real estate agents, we know the dynamics unique to the Charleswood real estate market. We'll help guide your search today! Contact Justin Havre at RE/MAX First - 403.217.0003 to find out more about buyer or seller representation. Selling your Charleswood home soon? Check out our free home evaluation, where you can view Calgary Homes Values online in minutes!